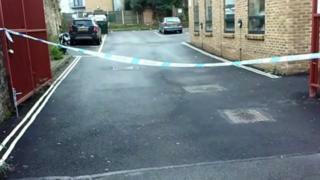 Two more people have been charged over the death of a man in a street in Kent. Wesley Adyinka, 37, died from a stab wound near his home in Knightrider Street, Maidstone on 10 February. Rodney Harris, 37, from Croydon, and a 17-year-old boy from Streatham, south-west London, have been charged with joint-venture murder and will appear at Medway Magistrates' Court later. Kevin Roach, 39, of South Norwood, south-east London, was charged with murder on 11 February. He is due to go on trial at Maidstone Crown Court on 12 August, also charged with causing grievous bodily harm (GBH) with intent to a woman in her 30s who was stabbed at the scene. Mr Harris and the 17-year-old are also facing charges of causing GBH.